These 7 oz. 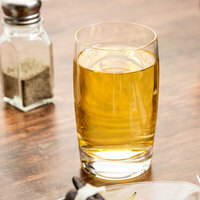 juice glasses are the perfect drinkware solutions for fresh juice and water. Each one's 7 ounce capacity offers just the right amount of beverage for serving drinks on the side. 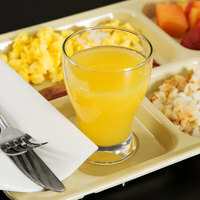 Use these glasses for service at your hotel’s continental breakfast or at your diner! You can even set them out at self-serve stations, so your wait staff doesn’t have to worry about refills. Our selection of 7 oz. juice glasses feature crystal clear constructions that showcase the colors of your freshly squeezed juices. 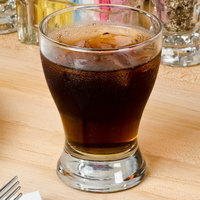 Choose from glasses of different shapes and styles to find a set that will complement the decor of your establishment. 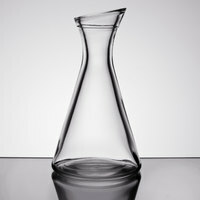 You can even find options that serve as decanters, so you can present mimosas, champagne, or morning cocktails during brunch.